It ain’t like it used to be. When my grandmother taught me to drive on her old country county road—that old one lane asphalt road … the road that if you met an oncoming car, as a courteous driver, you had to pull completely off the road to let others pass—well, let’s just say that automobiles were different then. My grandmother had a Buick with a bench seat in front. Three people could ride up front. When she first began teaching me to drive, I sat in her lap. 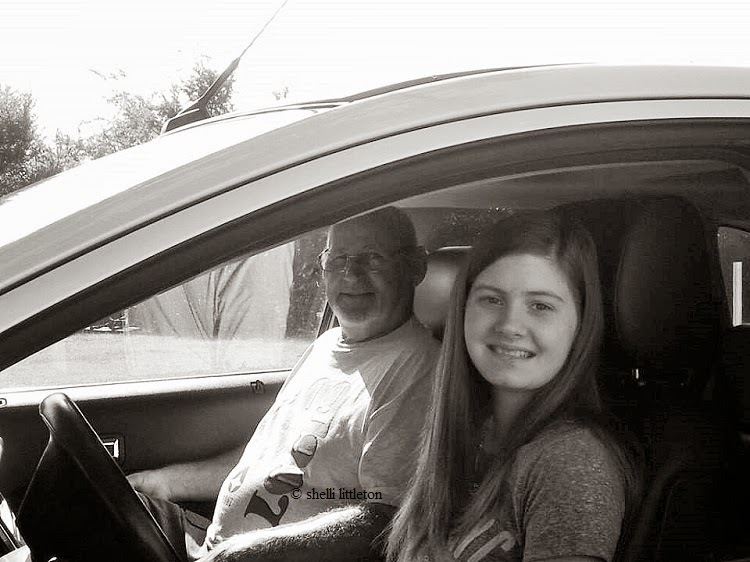 When I got old and tall enough to start really practicing and she sat me in the driver’s seat—when my feet could reach the pedals—she sat right next to me, in the middle of the bench. She was the most patient teacher. Because if I made the least wrong move, her foot could be on that brake pedal in a flash. Well, I’ve been helping teach my daughter to drive. There is a center console between us. My hands can reach the steering wheel, but let me assure you, if I need the brake, I’m dreadfully out of luck. My brake access is blocked by a console for drinks and change, of all things, and a little thing called an automatic gear shift. And when you have a beginner driver, that’s a scary position to be in. I am totally helpless. And the threat of death feels too imminent. Though my baby girl’s a good driver, I’ll admit that I’ve done a heap of praying from that passenger seat. And I’ve had to help teach her to parallel park. Yes, let the girl who failed parallel parking, in her first car without power steering, teach you. The best uncle in the world was gracious to step in to help advise. Even I can parallel park now. Glory hallelujah! Walking this life with the Lord in the driver’s seat can be daunting. It’ll bring you to pray. And as confusing as it might be for some to understand, it’s the only way to make it safely to our destination. It’s the only way to be accomplished. Lord, how can you take me there? Lord, how can we get there? Lord, why would you take me there? Lord, when will we get there? Lord, are you sure you don’t need me to take over? Lord, are you sure you don’t need the brake? Lord, are you sure you don’t need to speed up? We lean back against the trusty car in our trusty jeans and trusty T-shirts and trusty tennis shoes, with folded arms, and try to direct. Because we think we know best. We think we know where we should be going, how we should be going, why we should be going, and exactly when. 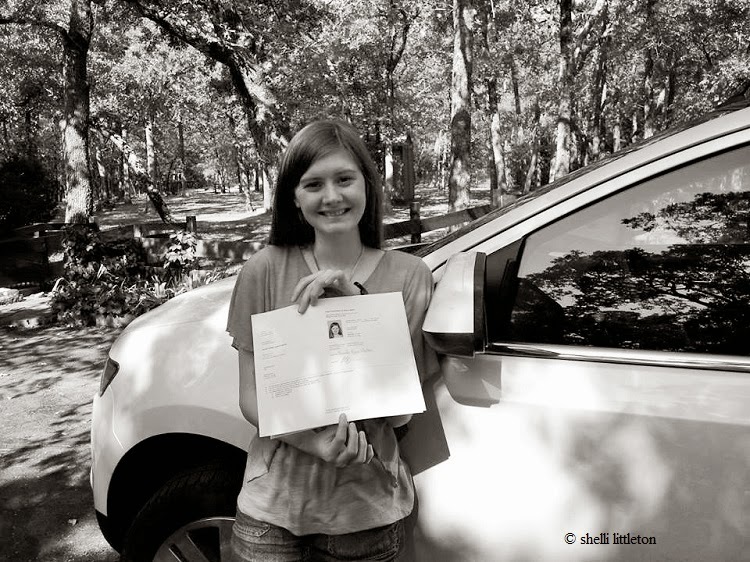 It’s interesting that we learn at an early age to drive well, but we also need to learn at an early age to ride well. We must learn to sit back, pray, and enjoy the journey at His pace, at His direction. 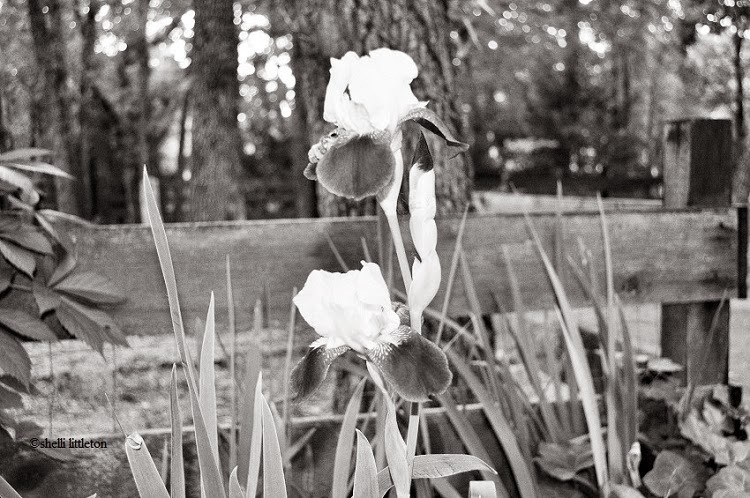 Roll down the window on this ride of life, breathe in the fresh spring air, and admire the blooming irises. Wendy Macdonald, I think of you. Shelli, this is absolutely perfect. You had me laughing and nodding my head. I'm getting my husband to teach the parking stuff to our teens since I haven't parallel parked properly since passing my driver's test decades ago. Maybe I'll get him to teach me too. 😉 And I love the analogy you made–soooh true for me–all of it. Wendy, I'll never think about driving without thinking of you! And at least you parallel parked PROPERLY! But I can now! I zip and out of the practice poles … but put two cars there, and I will probably be terrified … of hitting them! Love you, sweet friend. I had to chuckle about the parallel parking, Shelli. When I was learning to drive, my dad made me do it a bunch of times in front of a bank around 3 pm when there was quite a bit of traffic. I was so embarrassed and mad at him because I did it pretty good the first two times, but he made me keep doing it. Now I am so glad–especially when a couple years ago a colleague said, “Well, yes, there's a space there, but you'll have to do it. I don't parallel park.” I didn't even hesitate, told her to get out and that I could do it. I trusted in my ability to do so because my earthly father taught me. I am learning that this writing journey I am on will require some travel. I am a good driver, but the older I get, the more shook up I get about directions, seeing road signs, etc. But I can't afford to always take someone along with me. I've got a small 3-day conference coming up and a couple weeks later, a workshop. Both in-state, but both at places I have never been. Finally, this week, I stopped worrying about it because I realized that if this writing gig is something the Lord really wants me to spend my time learning about, I can trust Him to get me there without major issues. And even if there are issues, I can trust that He, right now today weeks before I go, has a solution there waiting for me. Oh, Melodie … I don't think anyone really instructed me much how to parallel park. And a car without power steering … have mercy. It took all my arm strength to turn the wheel. But, I can do it now, girlfriend!! I can whip right in there. I can back up really fast, too … hee hee! You blessed my heart so much by your comment.